The end of January and beginning of February has been fairly mild. 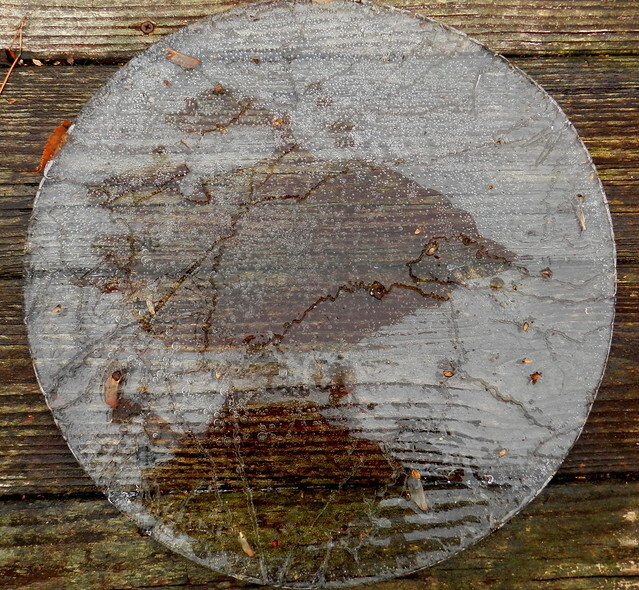 Instead of blocks of ice when I empty the bird baths there are thin ice circles. 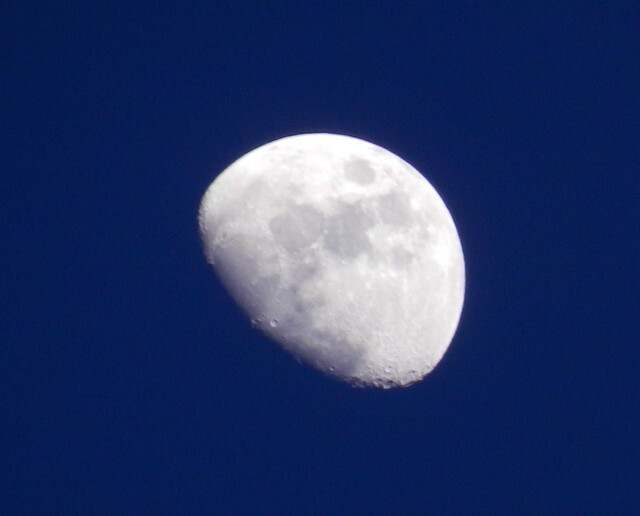 I haven't been taking many shots lately but have managed to catch a few sunsets and moonsets. Click for the home of Our World Tuesday and here for the home of Nature Notes. The moon in this phase looks like a mushroom cap. Sweet! It's pretty there. The wood through the thin ice in the first pic looks like a primitive painting, maybe some kind of fish or dolphin. Gorgeous shots! The moon is amazing! These are great Carver and I especially love the ice circle. Hello Carver, the ice circle is neat. And the sunset is gorgeous and I love moon! Lovely captures.. Have a happy week ahead! Oh, what beautiful captures, Carver!! Incredible, breathtaking sunset and a gorgeous moon!! All my favorites and these really are exceptional!! Hope you had a great holiday and that your new year is off to a fun start!! Your sunset is beautiful! And I love cracking ice. Hope it doesn't get as crazy with weather as we have here - snow, rain, then ice today! 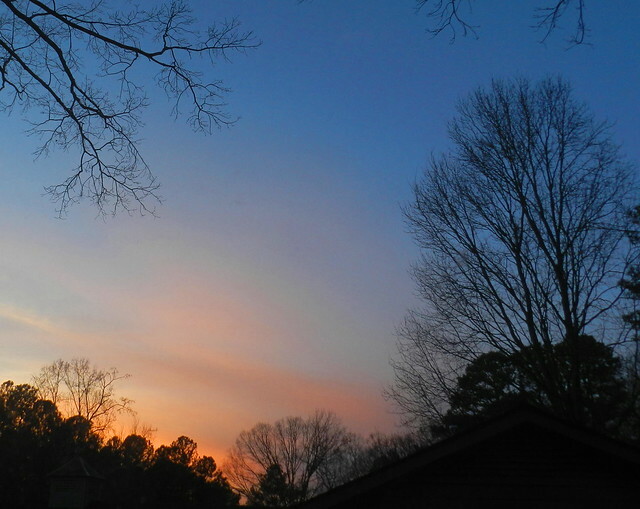 your moon shots are always excellent, but i really love the sunset here, the composition is wonderful. Looks to me like spring may come early to your world this year! Wonderful shots from the nature. Gorgeous sunset, and great shot of the moon! ...AND all images are stunning!!! I thought the ice circle was a fuzzy look at the world at first! Stunning moon image. Wonderful shot of the moon!